People aren't just playing Fortnite either. Viewers watched about 580 million hours of game action in May. The wildly popular online game Fortnite has surpassed $1 billion in revenue, according to a new report from research firm SuperData. It's a particularly impressive number considering the game is free to play and has been out for about a year. But in that time, it has turned into a phenomenon both in terms of its popularity as a game as well as in its cultural impact. Fortnite, developed by Epic Games, was released in late 2017 and makes money entirely from in-app purchases, where players spend real dollars to buy in-game currency in order to customize their avatars. The game, which pits 100 players in a fight to the death, known as a "battle royale," has attracted both experienced gamers and novices to the point where the game has become nearly ubiquitous — with in-game victory dances turning up in real life, including at the World Cup final. Superdata attributes Fortnite’s rapid success to the fact that it is free and is available on a wide variety of platforms, from Nintendo Switch to XboxOne to even a mobile version for iOS. The report also notes the added attention from celebrities and gamers and the easy learning curve for new players. 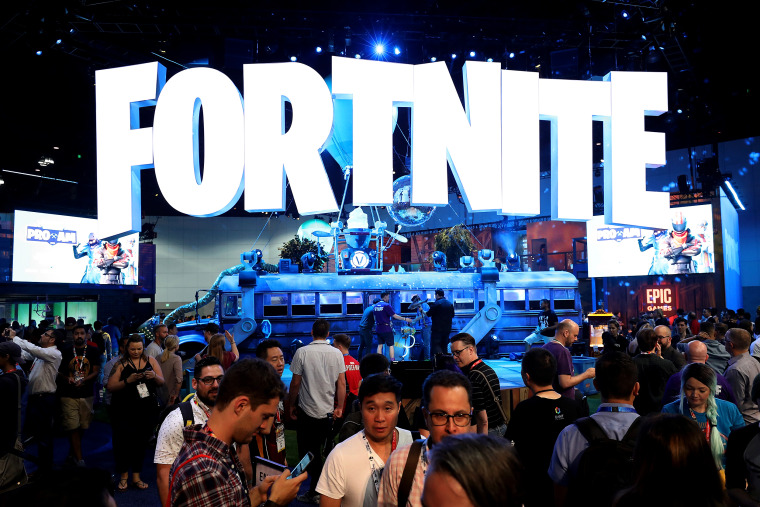 But it's not just that a lot of people are playing the game — Fortnite has also emerged in recent months as one of the most-watched video games. Viewers watched more than 574 million hours of Fortnite on streaming platform Twitch, easily outpacing other video games, according to the SuperData report. The combination for Fortnite and celebrities has drawn sizable audiences, with one popular video game streamer's session with rapper Drake reaching 635,000 concurrent viewers. The meteoric rise of Fortnite is relatively unprecedented, outpacing other Battle Royale games including League of Legends, PlayerUnknown’s Battlegrounds and Dota 2 in terms of hours watched.